A daughter’s memoir of sacrifice and discovery as her ailing mother’s caretaker is “an inspiring story of love, loss and the ravages of aging” (Kirkus). Like all mothers, mine had a set of maxims that she thought were important to impart to me: if you can’t say anything nice, then don’t say anything at all (unless it’s irresistibly funny); it’s as easy to fall in love with a rich man as it is with a poor man (a nice idea in theory); if you want to commit suicide, wait until tomorrow (advice which has, it turns out, saved my life). 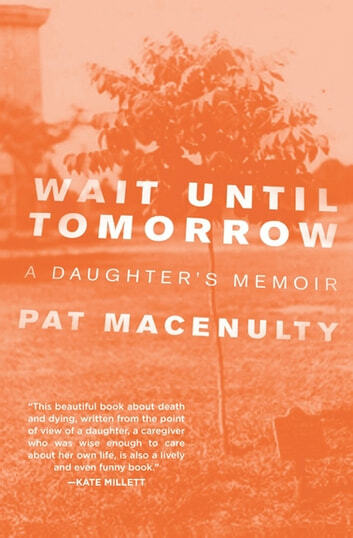 Like many daughters of elderly parents, Pat MacEnulty finds herself in a maze of healthcare negotiations and surprising discoveries when her mother can no longer care for herself. Pat’s mother, who stood by her through her darkest years, was a small-town icon as a composer, pianist, organist, and musical director. She is suddenly unable to be the accomplished, independent person she once was. Now Pat has two goals: to help her daughter avoid the mistakes that derailed her own life, and to see her mother’s masterpiece, “An American Requiem,” find a new life and a new audience in her mother’s lifetime. 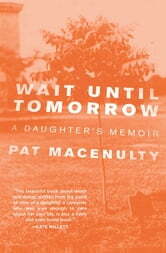 Along the way, Pat rediscovers her own strength, humor, and rebelliousness at the most unlikely moments. Divorce, Girlfriends, Phone Calls and Why he makes me SICK! Wheelchair Freedom! Get Help. Get Up. Get Out.